In 1982, the ACR developed classification criteria for the identification of systemic lupus erythematosus (SLE) for use in research. The ACR updated these criteria in 1997, and in 2012, the Systemic Lupus International Collaborating Clinics (SLICC) group developed an additional set of classification criteria. “We were trying to identify clinical signs and lab abnormalities that are present in a large portion of SLE patients, but are also very specific to SLE. The goal is to identify patients with a high likelihood of SLE, as opposed to another disease,” says corresponding author Sara Tedeschi, MD, MPH, a rheuma­tologist at Brigham and Women’s Hospital in Boston and an instructor at Harvard Medical School. “The purpose is to identify patients who are potentially eligible for research studies, whether for clinical trials or participating in observational studies using patient data,” says Dr. Tedeschi. The paper, titled “Developing and Refining New Candidate Criteria for Systemic Lupus Erythematosus Classification: An International Collaboration,” represents part of the third of four phases in an ongoing effort to improve the criteria for SLE. Karen Costenbader, MD, MPH, also a rheumatologist at Brigham and Women’s Hospital and a professor at Harvard Medical School, is senior author of the study and the ACR lead for the third phase. The process has involved hundreds of rheumatology providers throughout the world, not just in Europe and the U.S., to capture the diversity of SLE characteristics researchers and clinicians have described. Dr. Tedeschi and her colleagues hope to achieve some homogeneity in the classification of lupus to aid research endeavors. With the team, Dr. Tedeschi pored through all available SLE literature to identify how common and specific the criteria are for SLE, and to organize the criteria into distinct clinical and immunological domains. “We relied on multiple, large cohort studies that have reported on these features,” Dr. Tedeschi says. In the study, she and colleagues described 21 proposed classification criteria for SLE and organized them into three immunological and seven clinical domains. These include: constitutional, cutaneous, arthritis, neurologic, serositis, hematologic, renal, antiphospholipid antibodies, complement proteins and highly specific antibodies. They are, however, not the final criteria. Soon, Dr. Tedeschi and colleagues will publish the later portion of phase three, in which each of the classification criteria are weighted and ranked based on their relative importance in identifying SLE with high specificity and sensitivity. Already, the exercise in combing the literature and seeking consensus from a body of rheumatology experts has improved the entry criteria for SLE. Dr. Tedeschi and the team established that a positive antinuclear antibody (ANA) of equal to or greater than 1:80 titer is necessary to consider classifying a patient as SLE. “By including the positive ANA as an entry criteria for the diagnosis of SLE, the authors will improve specificity at baseline,” says Dr. Bermas, a former colleague of Dr. Tedeschi’s; she was a rheumatologist at Brigham and Women’s Hospital in Boston before moving to UT Southwestern last year. Dr. Bermas was not involved in the study, but she does perform rheumatological research. In reaching the current iteration of the classification criteria—and Dr. Tedeschi was quick to stress the process has been highly iterative—the research team also included patients. “There was discussion about retaining a neurologic domain [for SLE] and the patient representatives were critical proponents in retaining it,” says Dr. Tedeschi. Specificity can be challenging because the neurologic symptoms, such as headache, can be due to any number of conditions that are not SLE. The researchers also further refined definitions of some of the criteria, such as fever in the context of lupus and chronic cutaneous lupus. One of the team’s goals, Dr. Tedeschi explains, is to help other clinicians, including nephrologists and dermatologists, identify SLE patients to enroll in clinical studies. “One part of the exercise is to try to get specific terminology and phrasing to achieve those goals,” she says. 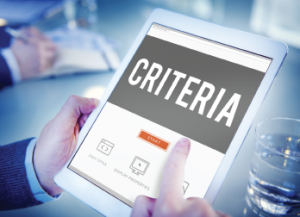 The team also hopes to develop criteria that make it easier to identify patients who have been newly diagnosed while still maintaining high specificity. The criteria are not, she and Dr. Bermas stressed, intended to be used for diagnostic purposes. The challenge remains, however, to determine just what those criteria may be. After phase 3 is complete, the weighted and ranked consensus criteria will be subject to a validation process by which the criteria will be applied against known patient cases. Kelly April Tyrrell writes about health, science and health policy. She lives in Madison, Wis.
Tedeschi SK, Johnson SR, Boumpas D, et al. Developing and refining new candidate criteria for systemic lupus erythematosus classification: An international collaboration. Arthritis Care Res (Hoboken). 2018 Apr;70(4):571–581.